1. Naturally, an Instant Pot or Crockpot multi-cooker, because there's basically no other way to put from-scratch chicken tacos on the table in 15 minutes. 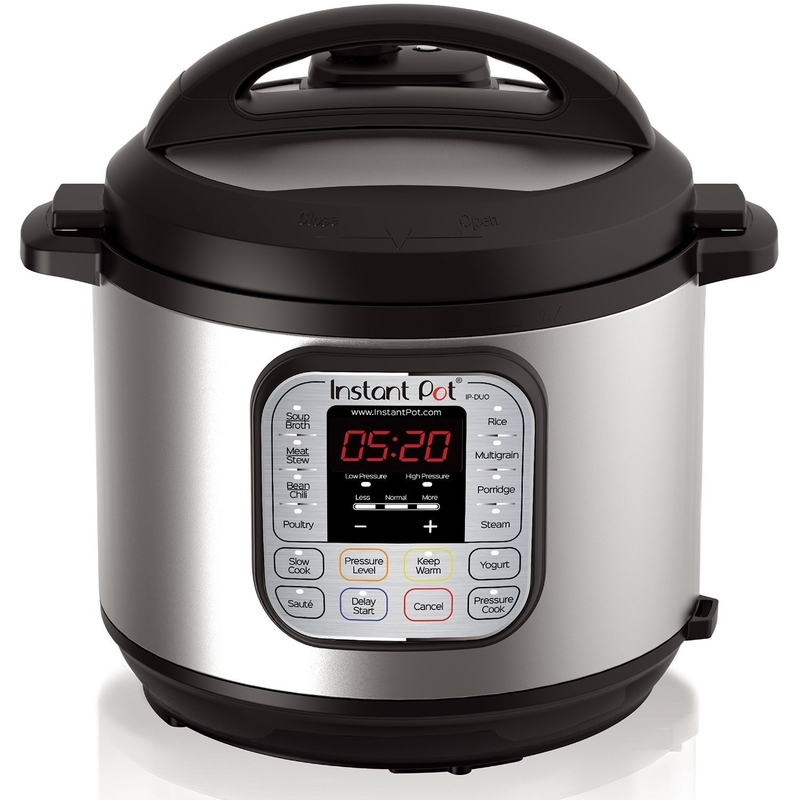 Here's our full Instant Pot review. 2. Or if you're not interested in trying a pressure cooker, a simple slow cooker that lets you dump a bunch of ingredients in at once, basically ignore it, then come back a few hours later to a hot, delicious meal. 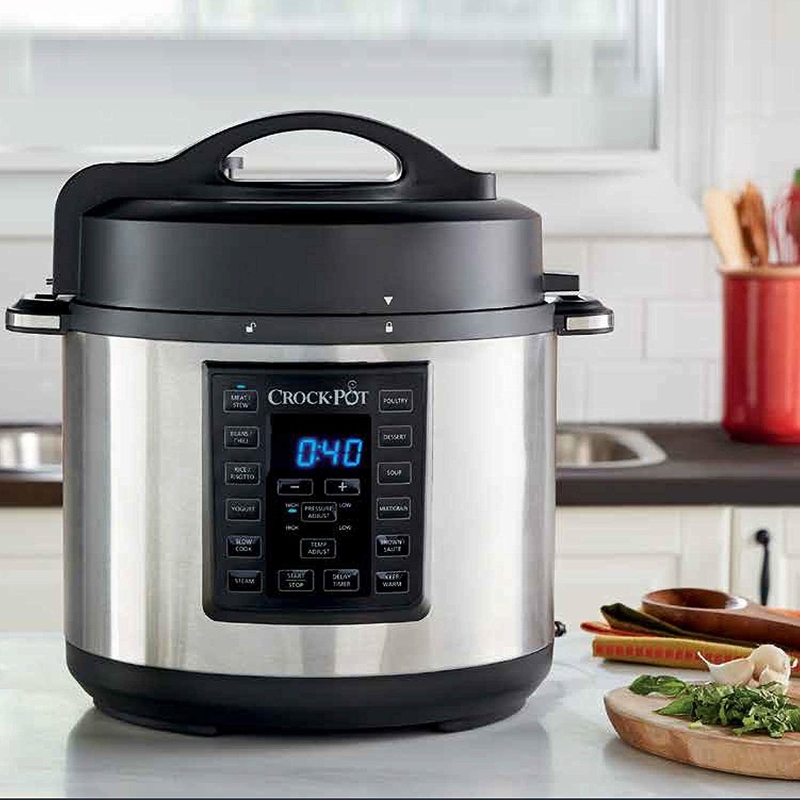 Get one on Amazon for $39.99, and for recipes, check out 264 Slow Cooker Ideas For When You're Not Sure What To Make. 3. 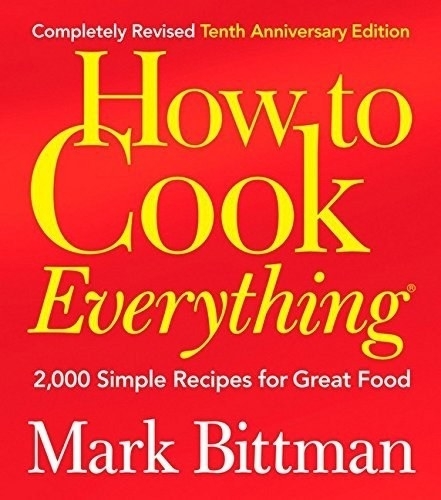 A classic cookbook packed with literally thousands of recipes that, besides being incredibly delicious and never too complicated, will teach you how to cook along the way. Promising review: "This is a massive, encyclopedic work about cooking. There is so much information in here. I've tried several recipes already, to positive results. In particular, the Yogurt Biscuit recipe was earth-shattering. I've been trying to make homemade biscuits for some time now, with marginal success at best. Who knew that the secret is yogurt? Get it in hardcover on Amazon for $20.99. 4. A top-rated restaurant-kitchen-favorite chef's knife so sharp it'll speed up your prep no matter your knife skills. 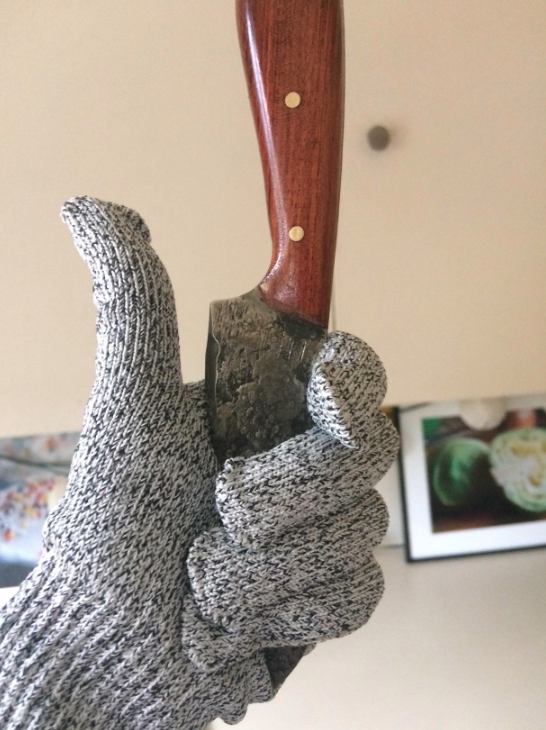 It's the BuzzFeed Reviews pick for best (cheap) chef's knife. Get it on Amazon for $35.76. 5. 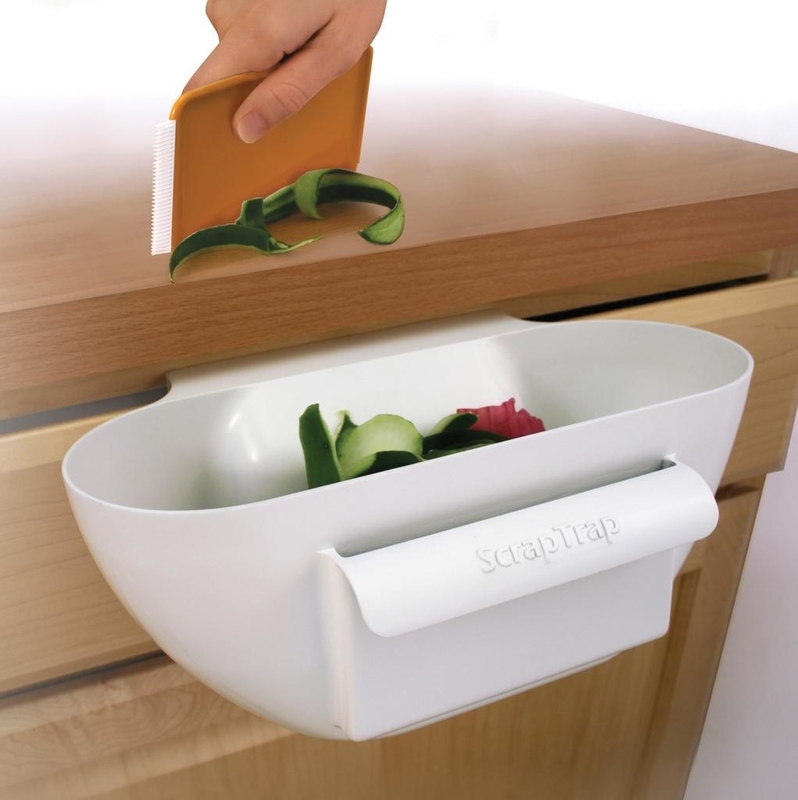 And a Scrap Trap to catch all of the extra bits before you toss 'em in the garbage disposal...OR to hold everything you're about to dump into the pan. Either way, it makes your life a little easier. 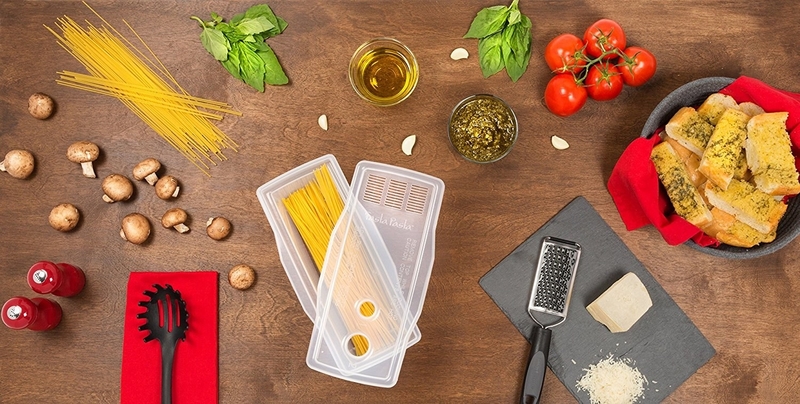 Promising review: "It's roomy, so it holds lots of cooking scraps, packaging, zip tops — loads of room to hold, and takes up ZERO counter space! That's really important for me, because I have not so much a kitchen as a galley. It's like living on a boat, and counter space is at a huge premium, so a thing like this which allows me to just brush stuff from counter into the bucket without having to hold it or make room for it while I'm trying to prep my meals — man, it's awesome. The design is smart. 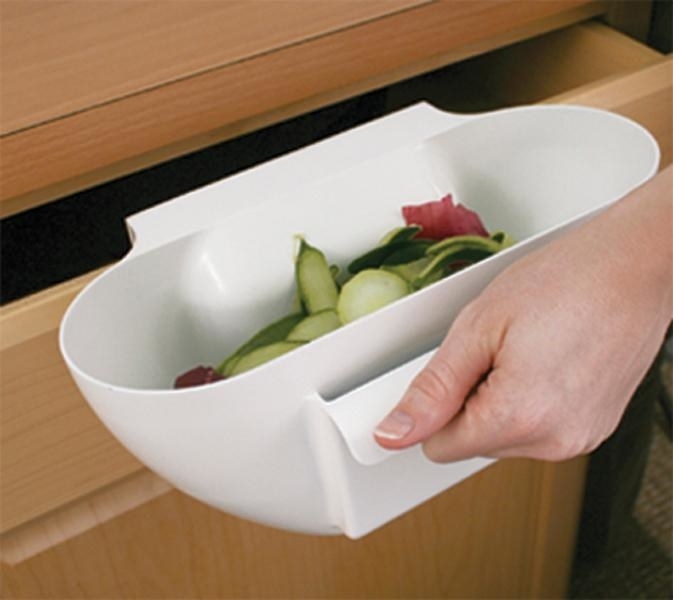 The lip is narrow, however: be aware that if your drawers are thicker than about 7/8", this will not fit. 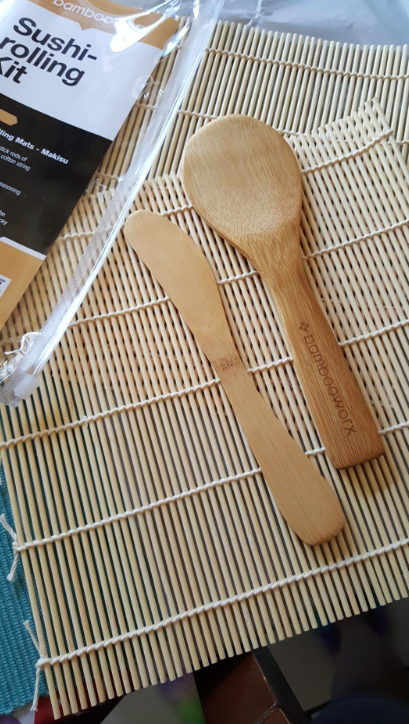 However, there's a nice indent to accommodate your drawer handles, and a built-in pocket to hold the scraper that comes with it: it's a sturdy plastic card with a brush on one end for crumbs and flour or sugar, and a tapered side for sweeping bigger bits into the bowl. When you're done, you just pop the card back into the slot, and it's always where you need it." —Gail B. Get it on Amazon for $13.23. 6. A whetstone you can use to keep all your knives samurai-sword sharp. Get one on Amazon for $13.03, and learn more about using it here. 7. 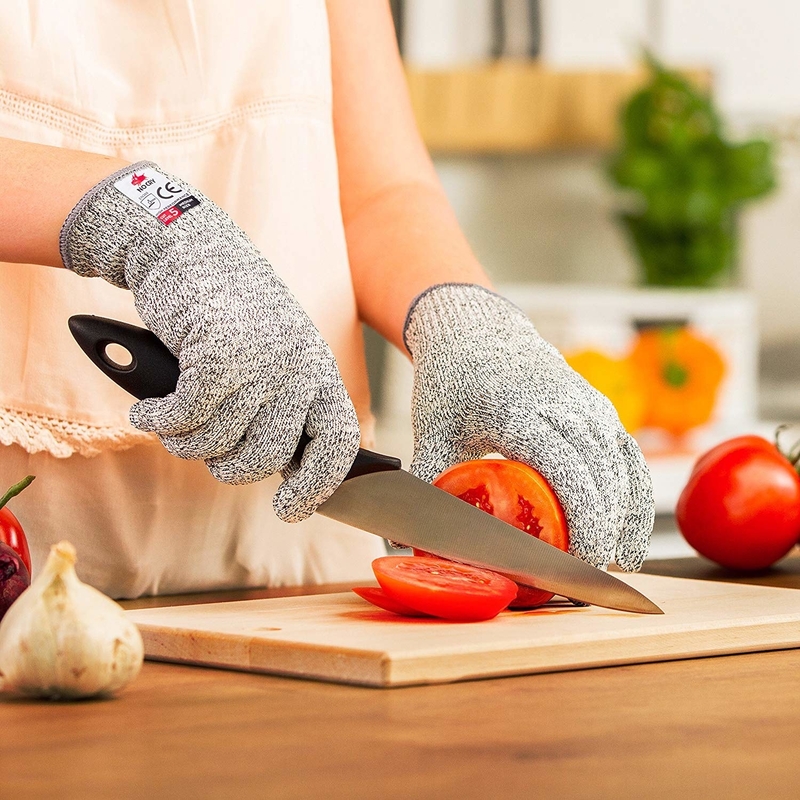 Plus a pair of cut-resistant gloves, so you can use your newly sharp knives (and other somewhat ~dangerous~ prep tools, like mandoline slicers) with complete confidence. Get them on Amazon for $10.99 (four sizes). 8. To slice and dice as quickly as possible *without* the risks of super sharp knives, a veggie chopper to tackle onions, celery, and even tomatoes in a matter of seconds. Promising review: "it’s amazing! We’ve been doing Crockpot recipes and it has saved us probably an hour of chopping and it’s actually fun to use. Just make sure you cut to the size of the blades, then press and boom you’re done. For clean up I just rinse thoroughly and leave to dry." —John R.
Other reviewers report using it for cucumbers, bell peppers, potatoes, sweet potatoes, carrots, and more. Although you should still avoid touching the blades — they're sharp! Get it on Amazon for $22.97. 9. Or a food processor, which was literally invented to chop, shred, and slice all kinds of foods with the ~power of electricity~. Promising review: "I got this a month ago and I'm loving it so far. It shredded my cheddar cheese block (it worked great once I figured out the pressure to use). I've finely chopped onion, mixed meatloaf, shredded lettuce, sliced carrots, and I've put the bowl in the dishwasher numerous times. Everything has come out great ." —D.G. Get it on Amazon for $158.96 (14 cups). Or if you don't have the space (or the budget) for the full-size, get a mini version for $29.95 (21 ounces, which is 2.6 cups), also on Amazon. 10. 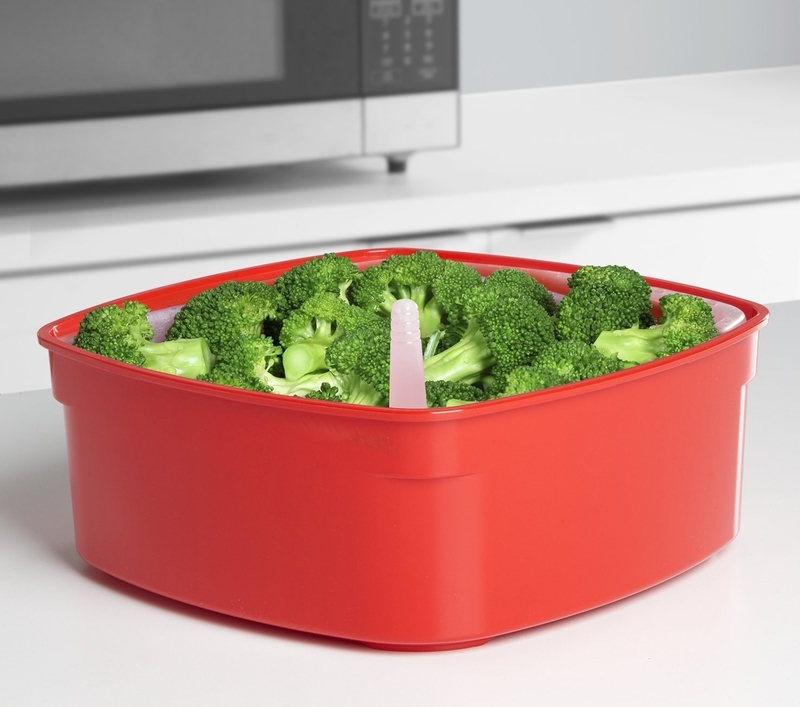 A microwave steamer that can cook a full meal of fish and veggies in five minutes or less — or just a perfectly al dente side of pre-chopped broccoli — so you can spend your valuable time accomplishing everything else you want to get done. Get one on Amazon for $8.99-$11.99 (3 sizes). 11. A compact airfryer to turn veggies, frozen fries, chicken wings, and more into a fast-food-worthy meal in no time — and with less oil. Get it on Amazon for $39.99+ (five colors). 12. A cookbook that's already done all the meal-prep planning for you, so you can enjoy incredible dinners with (somewhat) minimal work. Promising review: "If you’re an aspiring foodie who enjoys cooking seasonally and aren’t daunted by the idea of spending a couple hours of your weekend cooking meals for the week ahead, you will love this book. 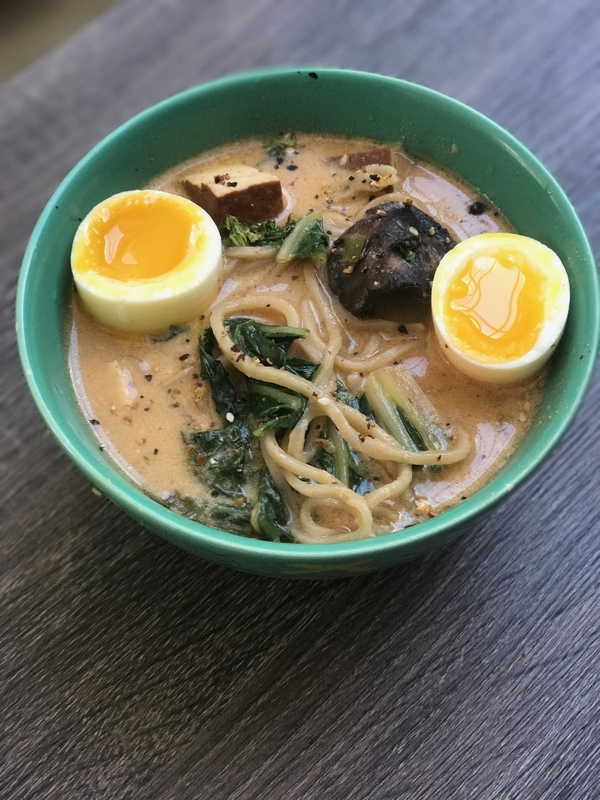 I’d been in a food rut since the birth of my baby, and I wondered if I’d ever have the time to cook the kinds of adventurous meals I’d enjoyed making before. Amanda Hesser and co-author Merrill Stubbs showed me the way! By cooking 1-2 main dishes ahead of time and combining them with different components to create a variety of meals, you can make the most of your time and ingredients throughout the week. I appreciate that dessert is always a part of the menu, and that several options are given for simplifying your weekly meal plan if you find yourself short on prep time. Thank you for helping this foodie and new mom find joy and confidence in the kitchen again!" —Emily G.
Get it on Amazon for $22.47. 13. A pair of scissors that make prepping fresh herbs incredibly fast, so you'll actually use all of the ones you buy. Which means all of your dinners will have *that* much more flavor. BTW, these scissors helped an home cook cut herbs at the same speed as a cooking-school-trained Tasty chef! And you don't even have to worry about cleaning them after — they come with a cover that makes it easy. 14. A set of eight prep bowls with lids so you can actually start practicing ~mise en place~, or simply organize your regular prep. Get the set of eight (with lids!) on Amazon for $23.99. 15. A subscription to Cajun Crate, a monthly delivery of full-sized products exclusively from Louisiana guaranteed to bolster the flavor of whatever it is you're cooking. It comes with recipes and product guides, too, so you always know how to use each and every product. Subscribe on Cratejoy for $39+ per month. 16. Or a subscription to a full-fledged meal delivery kit, like Sunbasket, which serves healthy, mostly organic meals. They offer all sorts of meal plans too: you can select vegetarian, vegan, paleo, gluten-free, pescatarian, diabetes-friendly, lean and clean, quick and easy, or just the default chef's choice. 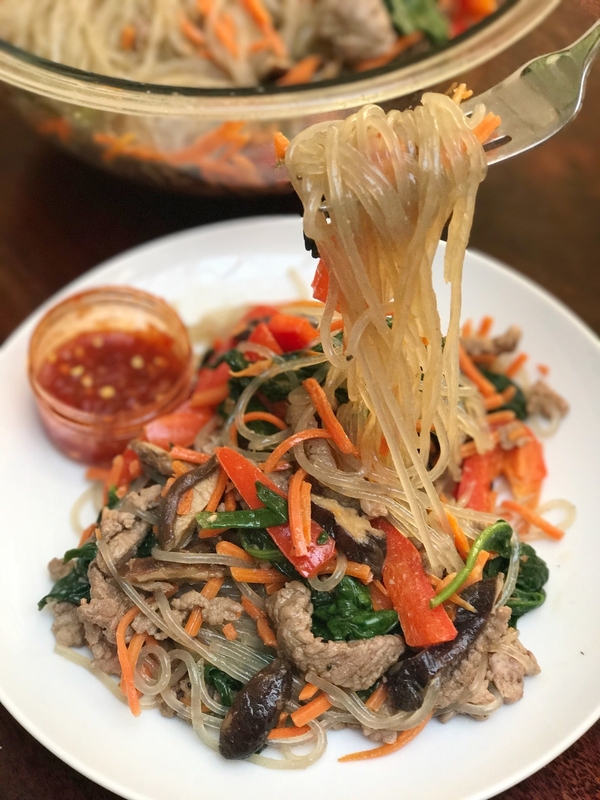 Hannah, a Tasty writer, sampled eight different meal delivery kits last year, and this was her favorite by far — here's her review. Subscribe starting at $10.99 per serving. 17. A three-sectioned nonstick skillet so you can make a full meal for just yourself while only dirtying one pan. Because when you're the only one cooking and eating, you're the clean-up crew, too. It also works fabulously for breakfast foods, and is oven and dishwasher safe. Promising review: "There’s no words to describe how awesome this thing is. Had it for maybe a year now. It’s long lasting and still highly effective. I love making hamburgers. Takes about five to ten minutes. Throw the meat on there and bacon, fried egg on the other side and grill up the buns. All comes together on one skillet. Superb." —Stephanie M.
Get it on Amazon for $29.64. 18. 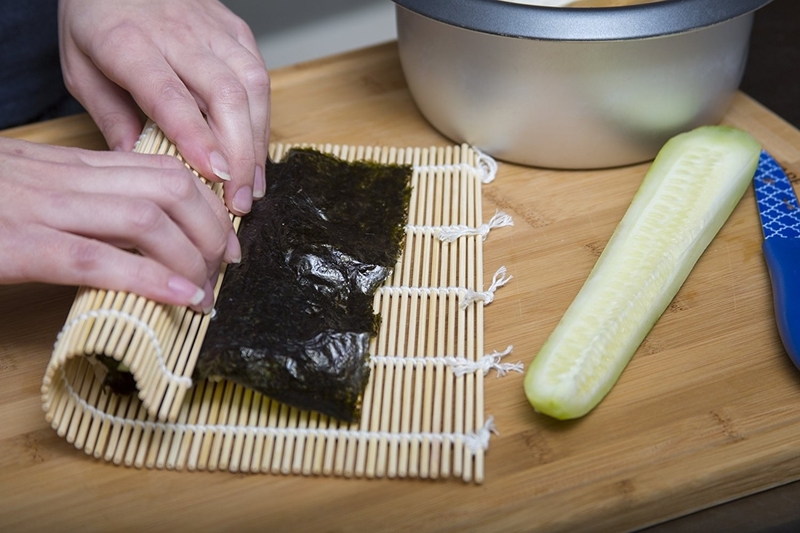 A sushi roll mat set that includes two mats plus two rice tools will make it easy to not-cook your favorite raw (or vegetarian!) rolls right at home. Get the set on Amazon for $5.49. 19. A full-size cookie sheet, so you can embrace the gospel of ~sheet pan dinners~: where you toss some meat and veggies together with oil and seasonings or sauce, and simply bake for a bit. Add some rice or quinoa, and you've got yourself and easy dinner! For recipe inspo, check out Sheet Pan Dinners That Will Save You Serious Time, Delicious Sheet Pan Dinner Ideas, and Easy One-Tray Oven Dinners. 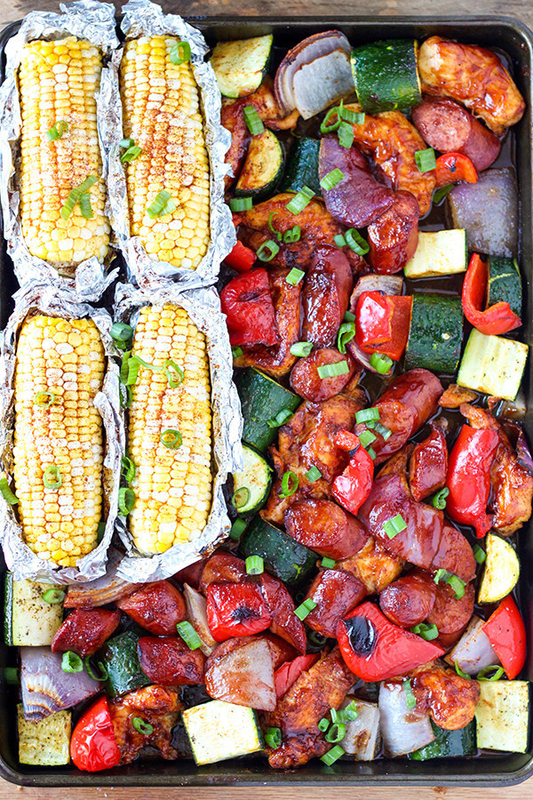 And get the recipe for this Sheet Pan Chicken BBQ from No. 2 Pencil. 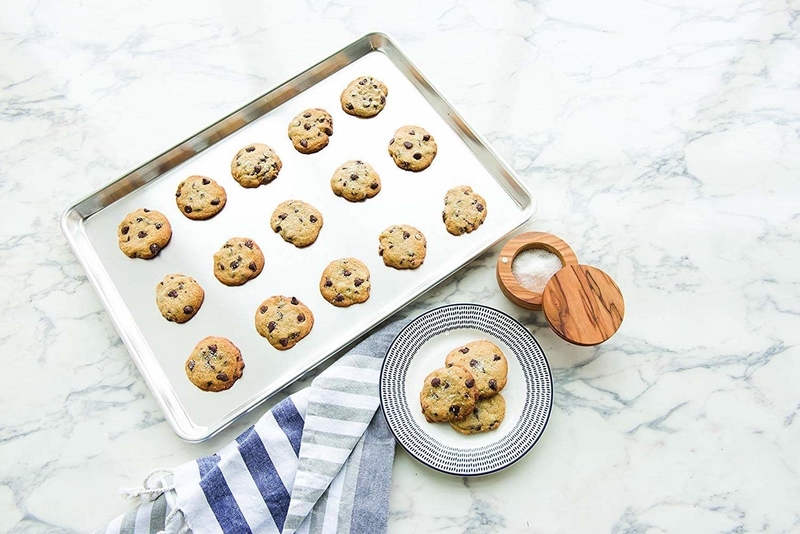 Get the cookie sheet on Amazon for $17.39 (21"x15"; of course, it's' an excellent choice for baking cookies, too). 20. 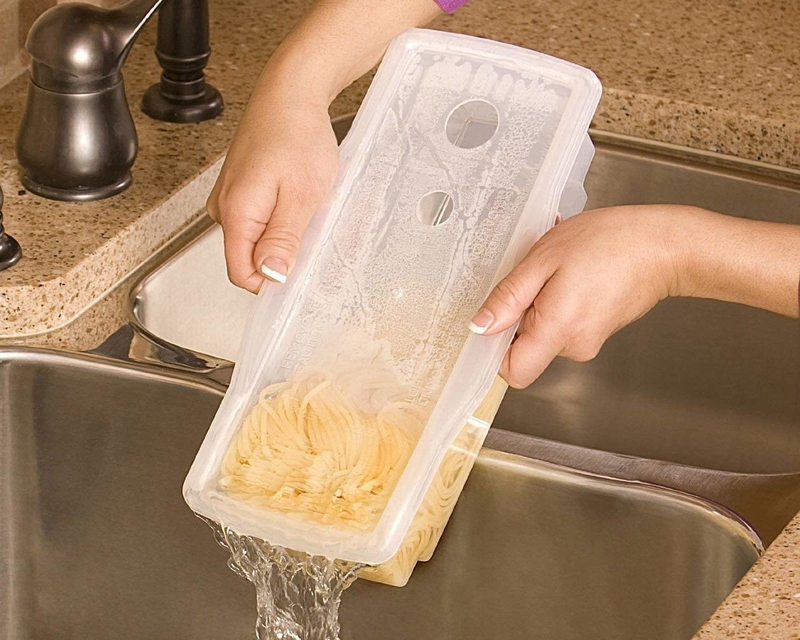 The "Fasta Pasta", aka the product that makes cooking a batch of your favorite noodles MUCH easier and faster — you don't even have to wait for the water to boil. Promising review: " I didn't expect too much from the Fasta Pasta and my expectations were thoroughly exceeded. It is clear they designed in with clear thought about how it would be used. 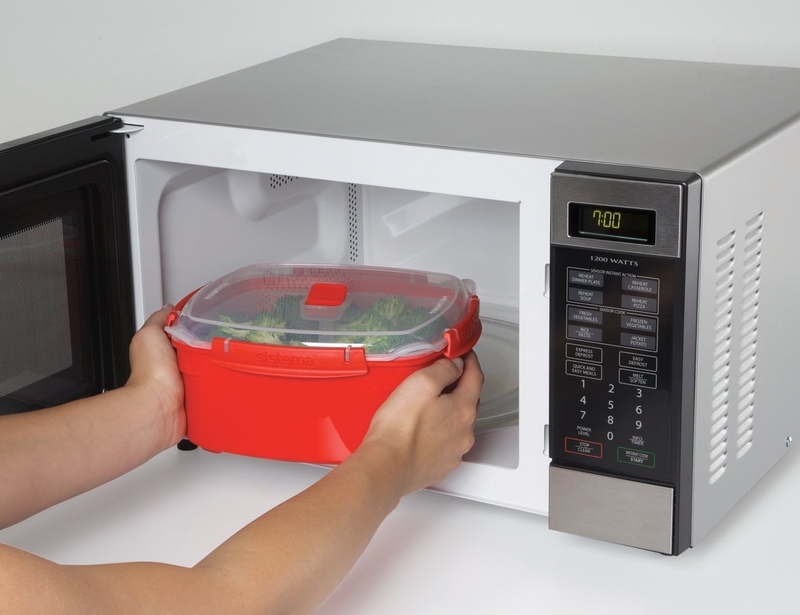 From the water lines, pasta portion holes, strainer or simple directions it's designed with the microwave cook in mind. Most of all, my results have been excellent and very tasty. That a 5 star performance in my cook-for-1 kitchen. 21. An indoor grill that lets you make flavorful chicken breasts, burgers, steaks, veggies, and more all without leaving your kitchen *or* heating up your oven. If you're like me and live in an apartment or condo with zero space for an easy gas grill, but love grilling, this product's practically made for you. 22. A rotating oven that transforms your favorite frozen foods into crispy fries, perfect chicken nuggets, and (of course) delivery-worthy pizzas. You can even put a few fries and six nuggets and a personal-size pizza on at the same time, and everything will still get perfectly cooked. Get it on Amazon for $41.98.